The evaluation procedure of the research works candidates at the OENOPPIA SIVE AWARD 2017 was completed, and identified the winner in doctor Ricardo Chagas, by Laqv Requimte (Universidade Nova de Lisboa). The competition is promoted by SIVE (Società Italiana di Viticoltura ed Enologia, Italian Society of Viticulture and Enology) to foster dialogue between research and production in the wine sector. Distinctive character of the SIVE Award is the primary role played by wine industry stakeholders, agronomists and winemakers, who decide the winner on basis of the usefulness of the results for the development of the sector. 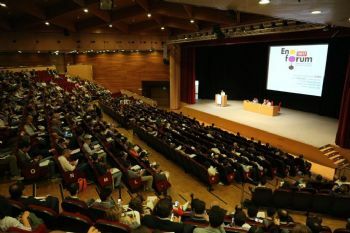 The research works were presented to a large audience of stakeholders at Enoforum 2017, the last edition of the event hold every two years in Italy that became a unique international opportunity of meeting and dialogue between professionals of wine and grape production, researchers and suppliers. The candidate researchers were previously screened by a Scientific Committee composed in 2017 by 49 scientists (23 Italians, 16 Europeans and 10 from extra-EU wine countries). The SIVE OENOPPIA AWARD 2017 is sponsored by the association Oenoppia, gathering the main world actors in production and development of oenological products, on line with its policy of active contribution to the progress of scientific knowledge in favor of the wine industry. Thirty-six research works from 26 research groups of different countries candidates to the 2017 award. The Scientific Committee selected among them the 12 concerning the most innovative topics, that became part of the Enoforum congress program. 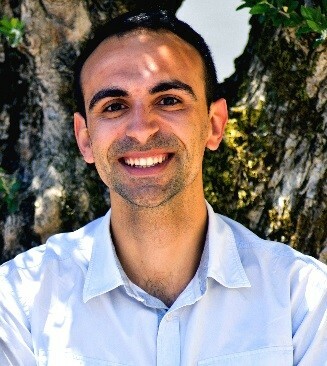 The research best evaluated by industry stakeholders was the Chagas work titled “Protein haze formation in white wine - The critical involvement of sulfur dioxide in protein aggregation mechanism”, about the role, unknown to the most, that sulfur dioxide has in creating di-sulphite bonds between instable proteins and causing their precipitation. The 7.500 € price, devolved to LAQV REQUIMTE research found, was founded by Oenoppia. The awards ceremony will take place on January 2018, during a dedicated full day SIVE technical meeting. The SIVE AWARDS “research for development” are granted on the basis of the judgment expressed by wine industry stakeholders. The abstracts of the submitted researches will be anonymously evaluated by the SIVE Scientific Committee for the criterion "degree of innovation and interest on the topic". The works that receive the highest scores will be orally presentation at the next Enoforum; participants attending Enoforum and the SIVE associated judge them on the basis of the criterion "benefit of research for the development of the wine industry”.